12 Channel Satellite Differential GPS sensor. Configurable for SeaTalk or NMEA 0183 Output. Pole, surface, or rail mountable. 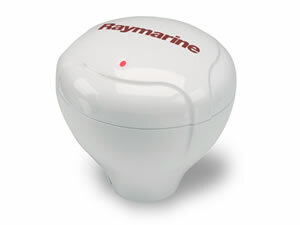 Compact and accurate the Raystar 125 Satellite Differential GPS Receiver provides pinpoint accuracy to Raymarine's C-Series and E-Series Multifunction displays. The Raystar 125 outputs either SeaTalk or NMEA 0183, and is fully compatible with Raymarine SeaTalk instruments and autopilots. Notice: The Raystar 125 has been replaced by the 125 PLUS below.